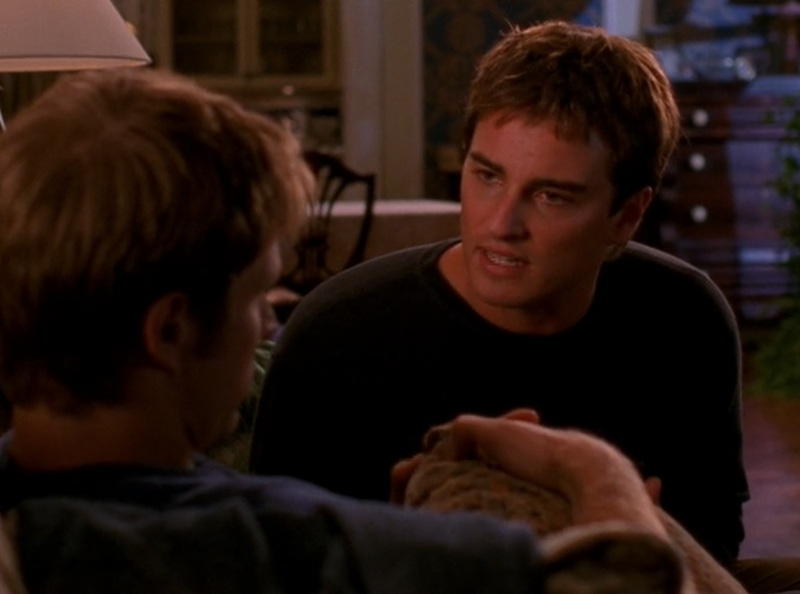 "Dawson's Creek is weird, OK?!" in re: episode title. I assumed it was a play on the Guns'n'Roses 1991 album title 'Use your Illusion" (it's a line from a track on the album, 'Locomotive': You can use you illusion- Let it take you where it may. We live and learn.) If it's not that, I got nothing. Like yourselves, I was also under the impression that Tim McPhee was an athlete. In season two, Andie says Tim taught her how far it is from the pitcher's mound to home plate and that he tried to teach her to throw a curve ball. The car accident that killed him happened on the way home from the homecoming game between Columbia (Tim's school) and Cornell. If the whole family attended the game and the tailgate, it's feasible they were there to see Tim play, not just to hang out and show school spirit.